Koya is the place to go if you are looking for authentic, timeless Japanese cuisine. It is situated in Soho, and you can almost always see a crowd outside the restaurant. But fear not, as you will usually only have to queue for less than 30 minutes before you get seated! Koya specialises in its excellently chewy udon, but other items on the menu, such as their poached egg and tempura, are also magnificent. The staff are predominantly Japanese and are efficient and responsive. (1) When I come to Koya, I will usually order the Beef Udon in Hot Broth. 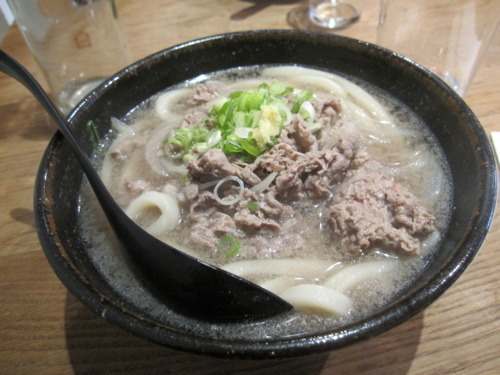 The thinly sliced beef is a perfect match for the thick, soft udon, served in a hot, delicious broth. I much prefer udon in hot broth to cold udon (which is dipped in a sauce and eaten), as the hot broth makes the udon softer and smoother. 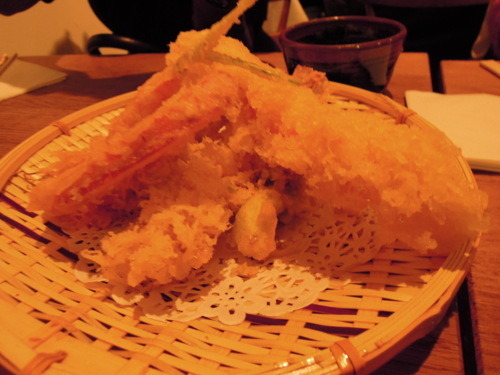 (2) Another favourite for me and my friends is the Prawn Tempura. The prawn tempura was beautifully deep-fried, gorgeously crunchy and not greasy at all! (3) This Marinated Mushrooms is a side dish. 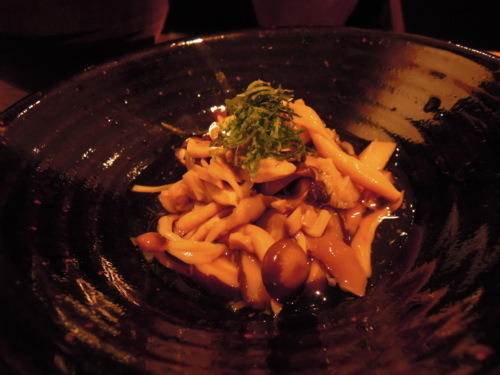 The portion may be a bit small, but the mushrooms are delicately marinated and are deliciously served cold. 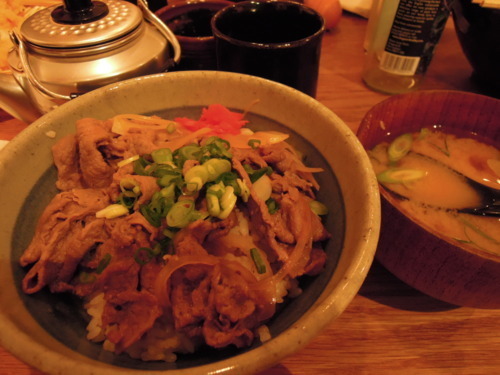 (4) This warm, large bowl of Gyudon (beef served on rice) is unpretentious and unfailingly gratifying! You could try a bit of the pink pickled ginger (placed on top of the rice in the photo below) to see if you like it. If you do, you could mix it into your rice, but if you find the taste too overwhelming, just throw it out.